A shallow grave. Human remains. An unsolved murder from years ago. It looks like the past is coming back to wreak havoc on Mike’s new life. What’s making the usually unshakeable Riel so rattled, and what does a beautiful but manipulative girl have to do with it all? From the first page I was hooked. 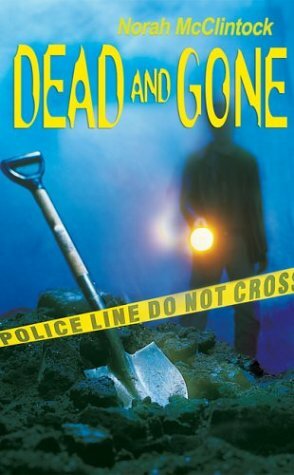 I hadn’t read the other books that started Mike and Riel Mysteries, but that didn’t stop me from getting right into this one. All of the characters were well developed with strong personalities and moral compasses (or lack thereof). Mike, despite his faults, is easy to empathize with, because he doesn’t always consider the big picture when deciding to do things, which is something that everyone has to learn. While this book is a mystery, I found that there were plenty of clues along the way that would lead a critical thinker to the conclusion, while still having far too much more to read. Despite that, I still read to the end, waiting to see if any of the characters might have a dramatic explosion over the major reveal. Norah McClintock has won an unprecedented five Arthur Ellis Awards for Crime Fiction for Mistaken Identity, The Body in the Basement, Sins of the Father, Scared to Death and Break and Enter. McClintock has also been nominated for the Arthur Ellis Award for her non-fiction title Body, Crime, Suspect; No Escape was nominated for the White Pine Award; and Hit and Run was nominated for the Red Maple Award in 2004.